This post contains press samples and the links in the post are affiliate. As usual, you get nothing but my honest opinion and I thank you in advance if you shop using my links as I will earn a small commission. 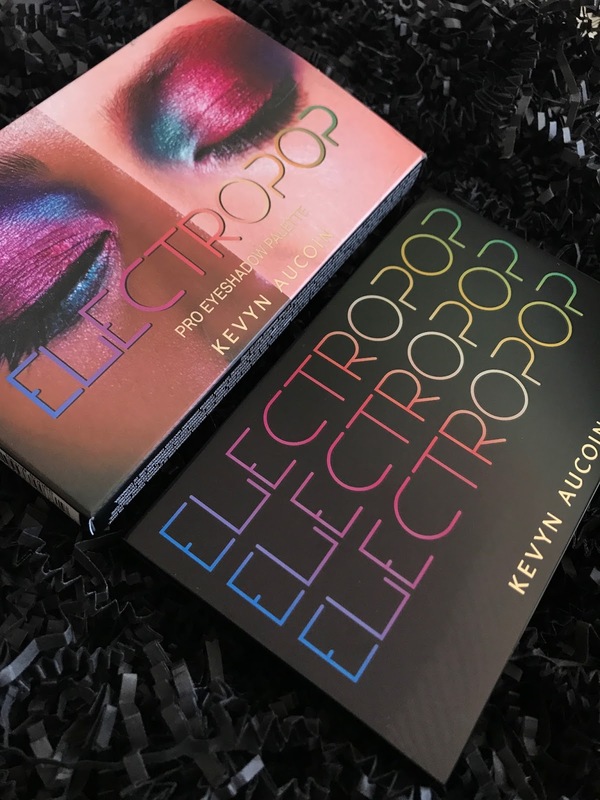 Today I am super excited to bring you a first look at the Kevyn Aucoin Electropop PRO Eyeshadow Palette, the newest Kevyn Aucoin offering. This palette will be available on the Sephora site for a one day only preview on 11/27 for VIB/Rouge members and will officially launch on 12/01. 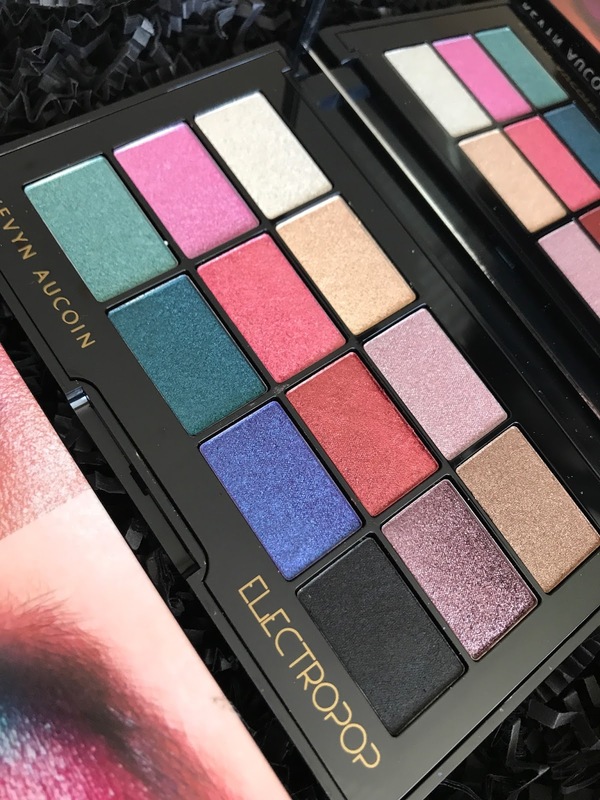 A big thank you to the Kevyn Aucoin Beauty PR Team for the opportunity to share this beauty of a palette with you all. 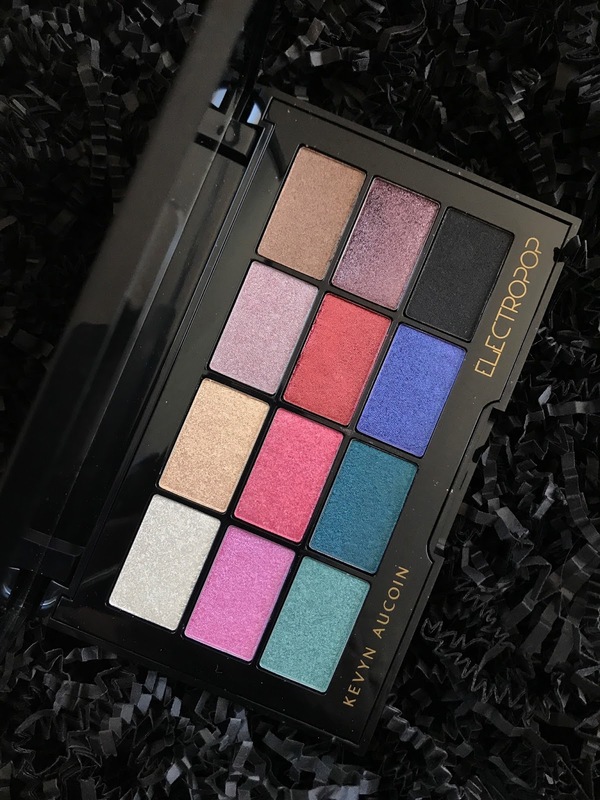 The Kevyn Aucoin Electropop PRO Eyeshadow Palette is a limited-edition, curated eyeshadow palette with 12 high-impact eyeshadow shades. 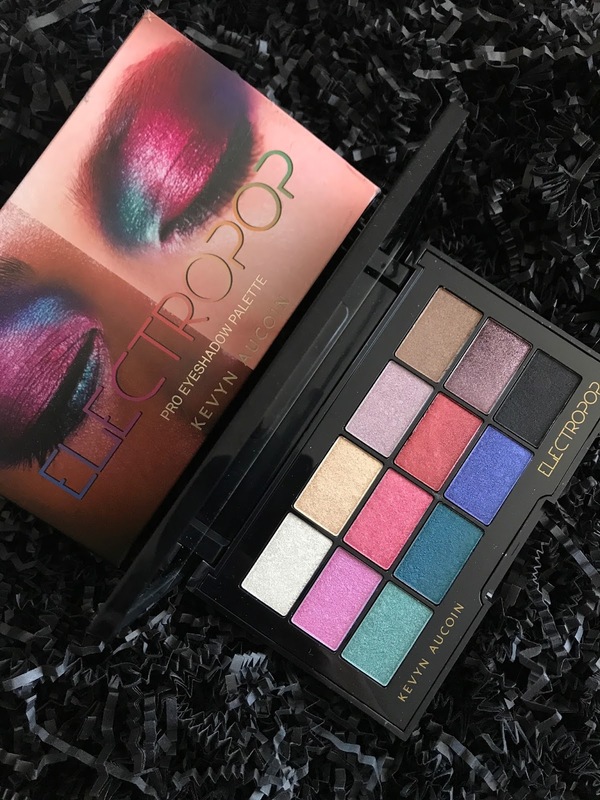 Featuring a range of different metallic formulas and finishes, this palette is such a fun and different way to go in a world filled with warm eyeshadows. From the minute I first saw this palette, I must say I fell in love. Dramatize like a pro to create endless 3D chromatic eye looks and exquisite effects—from a light, sheer shimmer to a high, metallic opaque finish. These electro chrome eye shadows combine the perfect balance between pop pearls and pigments to create a striking, multidimensional look with a weightless feel. 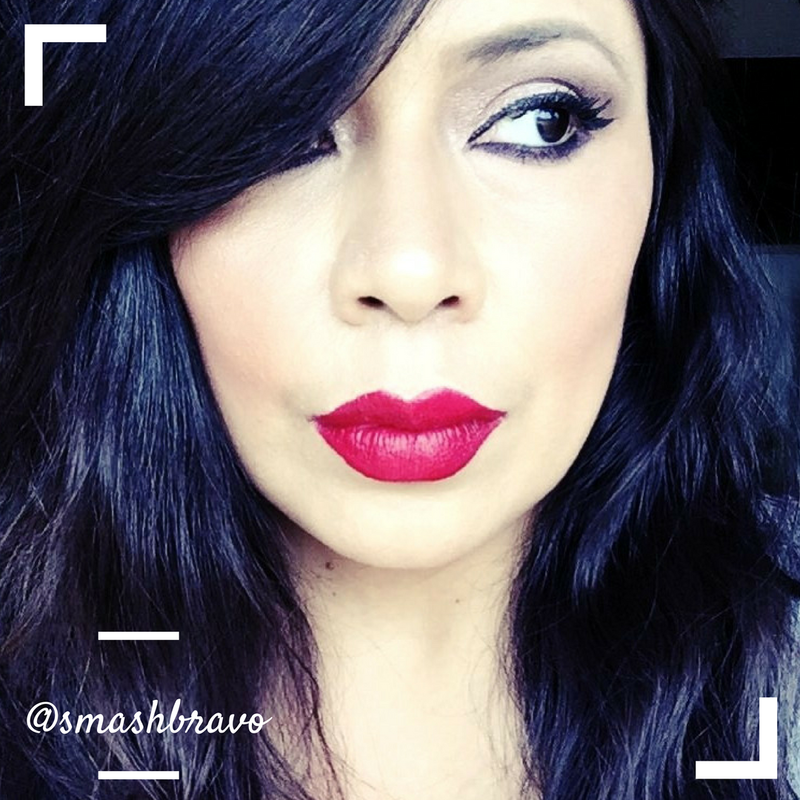 With one swipe payoff, the smooth texture glides on effortlessly. This palette gives me all the feels. 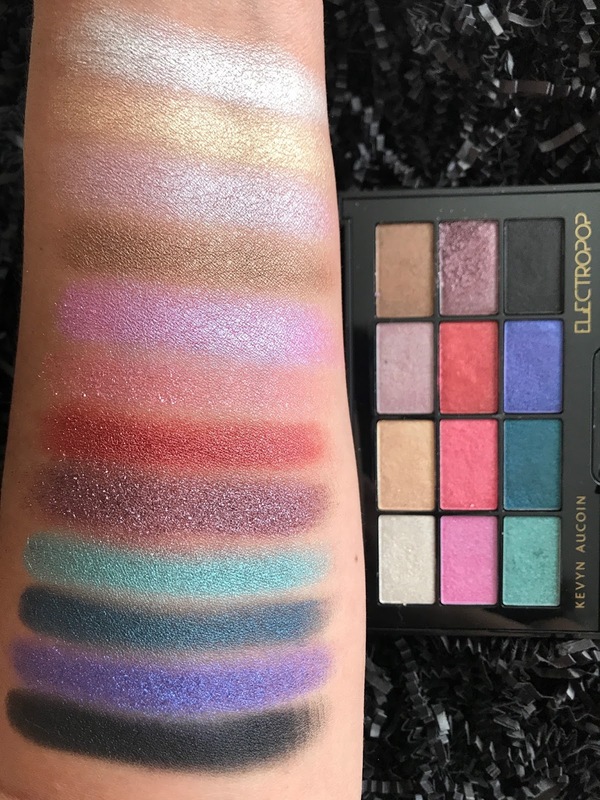 I only got this palette yesterday afternoon so of course I have not gotten an opportunity to actually try it on my face, but I wanted to bring you these swatches as soon as possible. The formula of these eyeshadows is incredibly creamy and buttery and almost gel-like. It actually reminds me a lot of the Makeup Forever shimmer formula, which is in my opinion, one of the very best metallic/shimmer formulas available. I love the mix of metallic finishes, especially the high-metallic one. I also love how highly pigmented the shades are, I was surprised at the high pay-off and only found one that I would actually call sheer. I think my favorite row has to be the bottom one, because of those really bright pops of color and the row includes one of the most pigmented black shades I have ever seen. Switch is a standout shade for sure, it's one of the most gorgeous duo-chromes ever, and amazing in person! Pro tip: Layer any shade over Blackout for a more intense color look. 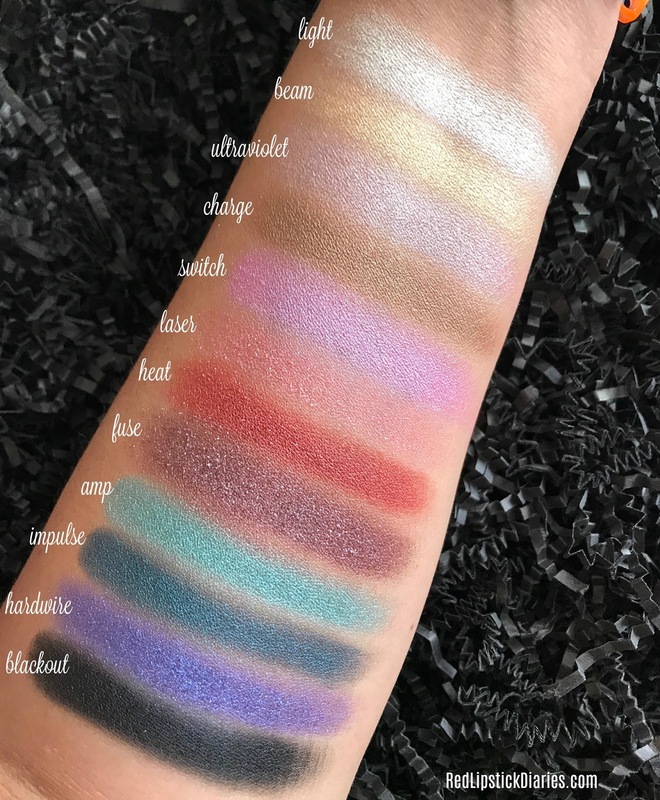 Just by the performance of these swatches and by seeing how creamy the formulas are of the different finishes, I know I will love this palette. This will of course not be a stand alone palette (unless you're cool with an all metallic look, which I am), but it's a great companion palette for all those neutral palettes we all have in our collections. I am incredibly stoked for this palette, I love a good pop of color and can't wait to start playing with it. I will update this post once I have gotten an opportunity to do so. Until then I hope you have enjoyed this look into the palette and the swatches so you can decide if you will be picking it up for yourself. 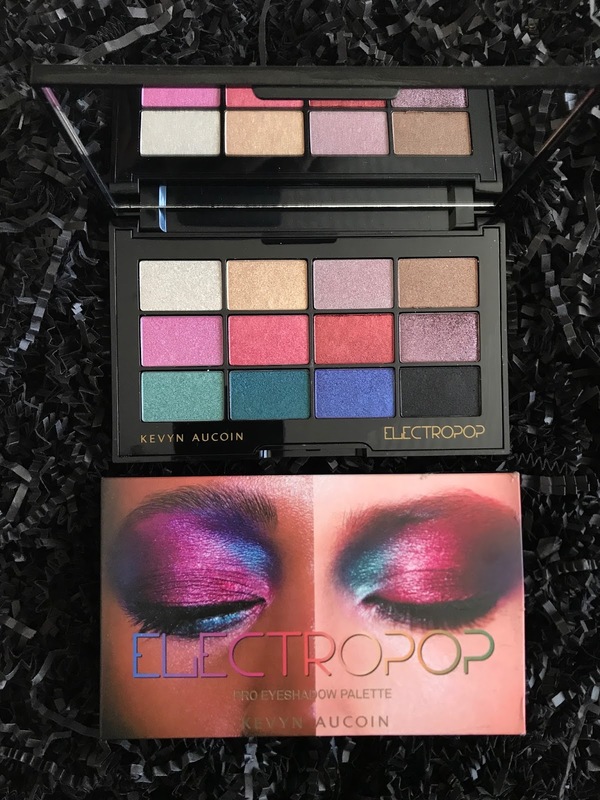 The Kevyn Aucoin Electropop PRO Eyeshadow Palette will be available on the Sephora site for a one day only preview on 11/27 for VIB/Rouge members and will officially launch on 12/01. This palette will retail for $57.